If you have ever gone through a bad breakup, or lost someone who was near and dear to you, you can likely recall the physical reaction you experienced. A tightening of the chest, a sick feeling in the pit of your stomach, difficulty breathing, nausea, weakness and heart palpitations are all symptoms of Broken Heart Syndrome. In extreme cases, the physical changes that take place when you are heartbroken can become life threatening, leading to a heart attack or stroke. According to researchers at Johns Hopkins Heart and Vascular Institute, unlike a heart attack which kills heart cells, broken heart syndrome is caused by adrenaline and other hormones that stun the heart. Patients who are hospitalized with BHS often present with low blood pressure and shock, which are also symptoms of heart attack. The heart may temporarily become enlarged and pump poorly, similar to congestive heart failure. But in broken heart syndrome, there is no evidence of damage to arteries, as typifies heart disease. The gut-churning anxiety that comes with a broken heart can have a profound impact on your body chemistry, impacting cholesterol, blood pressure, blood sugar, brain chemistry and hormonal balance. Decreased nutrient absorption, decreased oxygen to your gut, increased food sensitivity and heartburn are common. Feelings of sadness and depression often plague the broken hearted. According to the American Heart Association, women are more vulnerable than men to heart attack associated with broken heart syndrome. Symptoms of broken heart syndrome may last anywhere from a few days to several weeks, but according to Johns Hopkins, the heart eventually recovers, with no lingering permanent damage. Dr. Mercola recommends sleep, meditation and regular exercise as behaviors that can help relieve stress and alleviate the symptoms of broken heart syndrome. As a fitness professional, you work closely with clients on an ongoing basis, and chances are you will walk with them through some painful times. To enhance your effectiveness and professionalism, consider adding the W.I.T.S. Lifestyle Fitness Coaching Certification to your credentials. 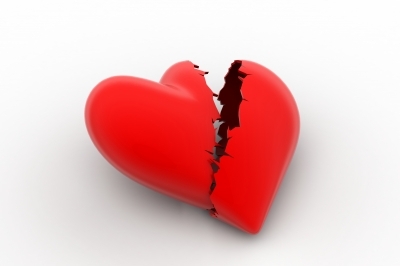 American Heart Association: Is Broken Heart Syndrome Real? National Heart Blood and Lung Institute: What is Broken Heart Syndrome? Next post: Heart of a Champion: What is Athlete’s Heart?